We are a lively congregation with members from various church traditions (or none), many different nationalities, and with a wide age range, including a good number of children and young people. 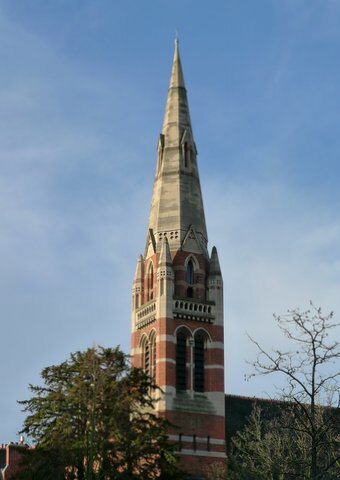 Trinity is a congregation of the United Reformed Church located in the heart of Wimbledon and offering a place of worship and service to the community. We are the only United Reformed Church serving the London Borough of Merton. Our Sunday worship is at the heart of our church life. It is a time when we can, together, offer ourselves to God and ask for His help and guidance. The service is normally led by our Minister, with members of the congregation participating especially in Bible reading, leading prayers of concern, and singing in the choir. Good music and preaching are important elements in our worship services. There is variety in forms of worship – our theological stance is broadly liberal but soundly Biblically based. Whilst the approach is dignified, the atmosphere is relaxed. Our singing, with varied hymn styles, is accompanied by organ and piano. Holy Communion is celebrated by all during worship on the first Sunday morning of each month. We meet together as a congregation of about 100 at 11:00 a.m. and the children and young people share in the first part of the service before continuing in their own groups. A crèche for the under-3s is provided during worship. We have been awarded the Child Friendly Church Award. Our Chinese group also shares in the first part of the service before moving to their own worship in Cantonese, with Mandarin translation, led by our Associate Minister. We are a Fairtrade church, and also take part in the United Reformed Church’s Commitment for Life programme. The church has disabled access, and there is an induction ‘loop’ system. For further details about the church see our main website www.trinitywimbledon.org.